The first edition of Walker’s Mammals of the World came out in 1964, and the most recent version, which is sorta kinda the 7th edition, was released this week. In between, I have used and enjoyed each iteration. This book was in the local library when, in primary school, I began discovering a love for animals, and discovering too, just how bloody many of them there really were. (I once wrote a story that was about the zoo I planned to open. There was no plot or characters, just a five-page list of animal species, arranged alphabetically.) In graduate school, I used the third edition’s distinction between gorillas and humans—which mostly had to do with the shape of our pelvis, as I recall—to prepare my first lecture on Hamlet, centering my study on his exasperated comment, “What a piece of work is man!” In 2000, the 6th edition was the basis of my first world mammal list, and so when Amazon told me there would be a new version now in 2018, I ordered it without hesitation. I was ready: I have been waiting for an update for 18 years. It has now come, and what a strange beast it is. Lavishly illustrated, it forgoes the previous “complete in two volumes” goal in trade for what appears to be a multi-volume approach. This un-numbered first entry may or may not be launching a new and serial dynasty; in any case, it barely covers the first 10% of even a conservative list of world mammals. This version starts with the marsupials, moves through sloths and elephants and manatees, and ends with tree shrews. I want to use this review to ask three questions: (1) Have reference books reached an evolutionary dead-end; (2) Do competing taxonomies so Balkanize nature study that a world book of mammals has become inherently impossible; and (3) Is a flawed or incomplete book better than no book at all? First, the product itself. It is big (8.5 x 11 inches), it is thick (757 pages), it is heavy (6.6 pounds), and it is expensive ($100). It is also entirely in color, even the thylacine or Tasmanian tiger, whose archival black-and-white photo has been colorized a la Ted Turner’s Classic Movies. The extinct Steller’s sea cow has three color illustrations (a great one, an okay one, and a rather terrible one), and even the not-often-seen dugong receives 9 color photographs, each of large size and impressive resolution. Indeed, there are a LOT of fabulous photos in this book. Some of you may even have seen these specific animals in the field, since there is a yapok shot by Fiona Reid. There just might be too many photos: not counting the cover shot and the painted illustrations of mammoths, this book includes 47 photos of Asian and African elephants. The image rights to so many high-end stock images must have been horridly expensive, and yet in this book there are no range maps at all: for dugong, what it “looks like” is fairly basic (it’s a walrus-faced sausage), but what I don’t know from memory is just where it lives. Africa and Australia somehow, but just where, exactly? There are no maps and the basic unit of the book is the genus, not the species; this is not an ID guide, or not directly. So whose book is this? Is it “ours”? (Mammal watchers who experience animals in the field?) If so, it is too big even to pack in the car on most trips: it clearly as an “at home” (or “in the university library”) product. Or is it for research scientists, folks who would consult it before publishing a paper on kangaroos? That seems unlikely: in that case, one would go directly to refereed articles. Is it for the common man, whoever that strange beast would be? Hardly likely: the subtitle on the front cover is “Monotremes, Marsupials, Afrotherians, Xenarthrans, and Sundatherians,” which seems guaranteed to clear a room in a hurry. Reference books may be an impossible genre now. Prior editions of this book could be in two volumes because we knew less, expected less, and lived in a more stable, less frequently revised world. I remember when there were just two elephants, African and Asian, and no debate about those boundaries. This book goes with the “two-elephant” theory for Africa, and it spends ten pages reviewing evidence. Yet even after all those cited reviews, I remain confused…is forest elephant truly a unique and valid species? (Um, probably?) Yet the discussion here is hardly authoritative, since the elephant split is a political issue too, both for ivory trade and for conservation laws. It is a cultural issue—unlike tree shrews, elephants exist in a complicated cultural and historical context—and it is a conceptual issue. (Shouldn’t different species look different?) Even if we limit ourselves to DNA studies and skull morphology, future work could invalidate the work presented here. Since any elephant discussion will be inherently truncated (pun intended), then being tidier and briefer could make this book more useful, not less. That is because at the pace of coverage this version achieves, there will need to be nine or ten more volumes after this one, and if that is their intent, neither the preface nor the website promise that, nor, if they are coming, are we told what the publication schedule will be. I have no interest in waiting another 18 years before a second volume comes out. In the case of this specific title, there is an e-version, but having bought the hard copy (I do love books, to be clear), I am not willing to get an e-version for a separate purchase price. If anybody has the e-version, please comment below. Is it easy to use? Can you zoom in on the images? Are the citations hot-linked? Perhaps a hypothetical “mammals of the world” reference book should be digital and updateable, as is the Wilson and Reeder master list. I usually travel with an iPad, both for books and music while flying, and because I teach online, so I need to do work chores while abroad. Others use their phones the same way. Digital versus analog is becoming less and less of an issue. Would any big book like this be better as a digital version? Indeed, would ALL field guides make sense that way? I love books, I have a house (and two campus offices) filled with many thousands of books, and yet holding this book (or trying to: it’s really heavy), I wonder if this same information should be delivered differently. Of course, flawed books (like flawed people) can still be fascinating. Browsing at random tells me that Florida’s manatees sometimes swim to Cuba, that aardvark meat tastes like beef, that the tamandua’s mouth is no bigger around than a pencil, and that even in the 19th century, mammoth ivory was already being dug up and sold—6000 tons of it, 1809-1910. Yet what if this turns out to be the end of the line for Walker’s? We get marsupials and colugos and some odd bits like the pink fairy armadillo, but after this, no follow-up volumes appear? I will confess I will feel a bit “had.” If this book won’t be part of a robust and swiftly released series, then fooey. Even if it eventually goes through the entire fauna aardvarks to zebras, we already have Handbook of Mammals of the World well on its way to completion. Say what you want about it, at least it is out, or nearly so. Romantic poet Samuel Coleridge had a vision of the mythical palace of Xanadu, developed in “Kublai Khan.” Inspired by an opium-fueled dream, he was writing the poem in a trance when he was interrupted by a knock on the door. When he sat back down, the rest of the poem was gone, never to return. The extant fragment is elegy to itself: a testament to what might have been. I hope that is not what the current version of Walker’s Mammals of the World has become. Thanks for the detailed review Charles. I recall not being terribly impressed with the edition (5th? 6th?) I used during my PhD research ca. 10 years ago. It seemed to be a new cover on a older volume, with no references more recent than a decade or so prior to publication. I don’t have the copy here (supervisor bought it at my request) so I can’t confirm if my recollection is correct (but I think it is). While the above review did raise some legitimate concerns, this comment is completely out of line. It refers not primarily to the new volume but to an earlier edition. The commenter is not sure whether that was the 5th (1991) or 6th (1999) edition but, whichever, it is said to have been simply a still older version with nothing new except the cover, and with no references more recent than a decade prior to publication. Actually, in the 5th edition, as compared to the 4th (1983) edition, text length was increased by 22 percent, substantive changes were made to about 80 percent of the previously existing generic accounts, and 106 new generic accounts were added. Respective figures for the 6th edition are a 25 percent increase in text length, 95 percent of previous generic accounts substantively modified, and 81 new generic accounts. Those figures can be found in the prefaces, which also indicate that a thorough literature search was made through 1988 for the 5th and through 1995 for the 6th edition. Incidentally, the new (2018) volume cites approximately 2,200 new literary sources, while retaining 1,000 from the 6th edition. Thanks! I am working on a review of HMW mouse volume, should post it here in a few weeks (hopefully before the shrew volume comes out). Have you seen the online HBW? It’s continuously updated. I was rather pleased to see someone take the time to give the book a lengthy review and am grateful for the several favorable remarks. I also agree with the relevancy of a couple of the issues raised, including the future form and function of reference books. However, is it fair to order a book, apparently without reading the description or even the title, and then complain that it is not what was expected? The reviewer also might not have carefully examined the preface (now viewable on Amazon), which provides a detailed account of the book’s scope and objectives and acknowledges that production of further volumes is not definite. The reviewer clearly indicates approval of the earlier books in the Walker series. It is odd, then, that he turns right around and criticizes features in the new volume that are unchanged. He suggests there are too many photos (especially of elephants) when in fact the ratio of illustration space to text was deliberately kept no greater than before. Elephants, having the longest text, needed the most photographic coverage to maintain original Walker standards. The reviewer also complains about the extensive source citation, when such is exactly as in the last two editions. He grumbles about a lack of range maps, though none ever appeared in a Walker book. The reviewer believes the book is not for research scientists, yet faults its “academic rigor.” He says it is not for the common man, because of technical terminology, then suggests coverage of elephants, the world’s most popular mammals, is excessive. And he says it is not for mammal watchers, because it is too heavy, yet its weight (6.6 pounds) is precisely the same as just volume 2 of the last edition. The review has a number of errors. It says the book systematically begins with marsupials and ends with tree shrews, when in fact its coverage of 19 of the 31 living orders of mammals goes from monotremes to colugos. The review has the misquote, “There are 19 species of tree kangaroos,” and incorrectly says it is followed by citation of “a dozen multiple author sources” in support. The actual wording (page 318), under the heading “Tree Kangaroos,” is “There are 14 species,” which is followed by six multi-author and nine single-author sources. 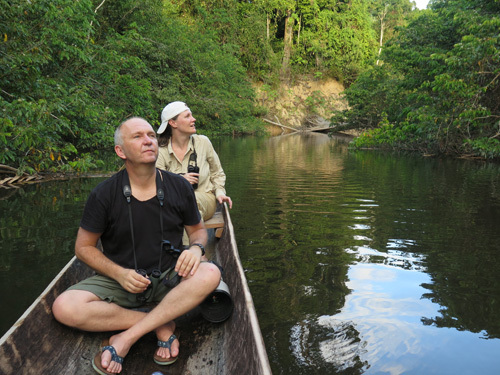 The review claims the book does not tell exactly where the dugong lives, when in fact 47 lines of text are devoted to its original distribution and considerably more than that to its current status. The review alleges that a superfluous 10 pages are spent reviewing evidence supporting existence of two species of African elephant, but the matter actually is covered in just two and a quarter pages of text. The reviewer says he remains confused about elephant taxonomy, which is understandable, but I am confused by his statement that the book’s discussion of the matter is “hardly authoritative, since the elephant split is a political issue too.” He is absolutely correct that taxonomy can have profound political ramifications regarding many endangered species, not just elephants, but why does that fact invalidate the systematic account? Moreover, political factors are covered in some detail later in the elephant text. I also am confused by certain other points of the review. For example, why does it first argue that literary citation in support of taxonomically accepted species is excessive, but then demand even more citation regarding those species not accepted? Regardless, as explained in the preface, all major points of disagreement with Wilson and Reeder (2005) are discussed in the text, and all taxa that are not accepted, but for which there is recent authoritative support, are mentioned. Finally, the reviewer implies the book is expensive at $100. Yet he indicates he bought it at Amazon, where it now is being sold for $86.18. I doubt if one could find many new university press publications of its size, with 500 “high-end” (reviewer’s wording) color images, for much less of a price. Thank you to Mr. Nowak for entering the conversation. I would be interested in hearing others on the challenge / problem / pleasure of encyclopedic reference books —- what do we expect? How do in-text citations enhance or validate a text, versus when do we wish to set that aside? Does a series need to be complete (or promise to be complete) for a solo volume to have its own merits? If there is no other book after this one, is that a problem? Perhaps not, and I want to urge readers to see this book for what it is, which is gorgeously illustrated and admirably cited. There is no way to spend time with it and not learn something. I wish it every success, one reason I kept my comments limited to this forum, not out on Amazon itself. When I said there were a dozen citations in the tree kangaroo header, I was trying to be generous, though it may not have sounded like that. To me, the final tally of 15 citations is even worse: the readability of the sentence goes down with each successive multi-author intrusion. For others, though, that may make the book all the better, and as Mr. Nowak indicates, this vol has 2,200 new citations. That is a monumental achievement. Two items just of logic. One has to do with cost versus value. At $80-ish, this book is expensive in an absolute sense: I would guess there are readers of the forum who can’t afford it. That is not to say it is not an extremely good value. In fact Johns Hopkins gets the gold star of the month for supporting this project. That I would have paid more for a different product is something I should have been articulated more clearly. Cost is one thing, value is another, and that distinction has gotten muddled here. The other issue is time versus final product. I have no doubt that Mr. Nowak spent 7,000 hours on this, or maybe even more, if every related task were added to the tally sheet. Time itself is not a guaranteed of value, though. James Joyce spent 35,000 hours writing “Finnegans Wake” and yet most people, even literary critics, find it a grim slog. In contrast, Vincent van Gogh did “Starry Night” in about 10 hours (maybe 12: the notes are not exact). It’s just fine as is. Another 100 hours would not improve it. And for futile projects, the sciences ain’t got nuthun on the humanities. Not sure if most readers know it, but one can zip through a biology PhD in 5 years, with luck and funding. In the humanities the average is 8 years post-BA, and a 500-page dissertation would not be an unusual manuscript to have to push through that process at the same time. (And then on the job market, once credentialed, there can easily be 200 applicants for one tenure track position. Yikes!) It just takes so long to do anything of value — it is really not fair. One of my friends, famous novelist x, kept all the rough drafts of his first book. By the time it was accepted for publication, he had a stack of hand-typed manuscript pages that went from the floor to level with the top of his desk. Writing is absurdly hard work, and I for one wouldn’t wish it as a vocation on even my worst enemy. Thank’s for the first lengthy review. It is helpful to read one before I will got my own copy (hopefully the next weekend). 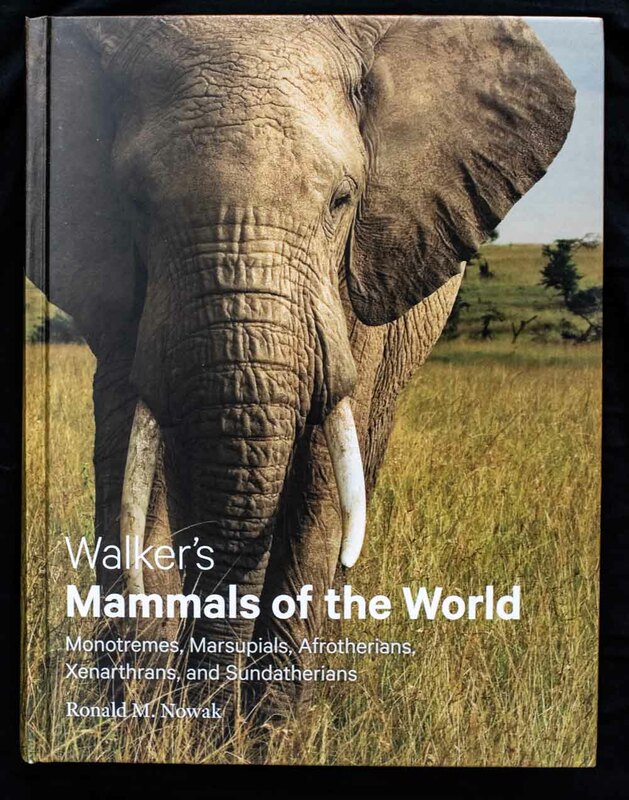 I’ve the 5th and 6th edition of Walker’s Mammals of the World but I’ve asked me why the new book is only restricted to some groups. 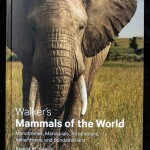 Does it mean that there will be other volumes of Walker’s Mammals of the World in the future which will cover e.g. the rodents or the bats? Oh, here’s a perfect opportunity to thank Dr. Nowak for his work! I’ve been using my copy of the 6th edition for almost 20 years now. I think it was just great, especially considering that it was written in the dark ages before Wikipedia and Google Scholar. As a side note, one leading Soviet zoologist of the 1980s considerably advanced his career by translating one of the earlier editions to Russian, adding some material on Soviet fauna, and publishing the whole thing under his name. He even preserved some layout features and fonts. I did not know about this “new edition” and will have to check it out. I have the 6th and had the 5th at one time. I am a bibliophile and love my books and have over 2300 of them, mostly on animals and plants. I for one think Mr. Nowak has done a wonderful book over the years and continues to do so in the future with additional volumes of this book to make it complete. I have all the HMW and HBW books and see no reason not to have other books of the like. Each one will be different in its own way. I think most books are expensive nowadays, but if you really want it you can come up with the money as I have done. I know most people are into all this computer stuff but I am not and never will be, so hope actual books are still produced by knowledgeable authors such as Mr. Nowak. Andrew―Thank you very much for your thoughtful comments and encouragement, as well as for your appreciation of “actual” books. I am glad you were pleased with the 5th and 6th editions of Walker and that you might consider the new (2018) volume and possibly even future volumes. Disclaimer: I provided 2 colourised photos, and have today received a complimentary copy of this book, though I don’t think I’m being overly generous with my praise. I struggle to put the book down, and I’m not just looking at “my” pages! I don’t know how useful it will be to academics (as I’m not an academic), but this layman loves it. It’s exactly the kind of book I would have wanted when I was growing up, and it would have sat well alongside the volumes of Encyclopaedia Britannica, and probably got more use. Thank you for sharing your excitement. If you didn’t say this yet on Amazon, that kind of testimonial helps any book, and in this case, if we want to see more in this series, I think Johns Hopkins should hear from mammalers via a public forum like Amazon. More seriously, colourising is sometimes a useful way to show what the photographer probably wanted to show, if only he or she had, or could afford, colour film. I try to avoid photos that were clearly intended to be black and white. In the case of the two photos I did for this book, and particularity the Tasmanian wolf/tiger, Ron and I had a long conversation about how to make the colours as accurate as possible. Such topics as variation in colouring of extant species of mammal, the discolouration over time of thylacine pelts, and the effect of different lighting on photos of those pelts were all discussed. I feel that adding colour can make the subject come alive, though I appreciate not everyone feels the same way. Fortunately digital colourising is non-destructive, so the original black and white photos are untouched.